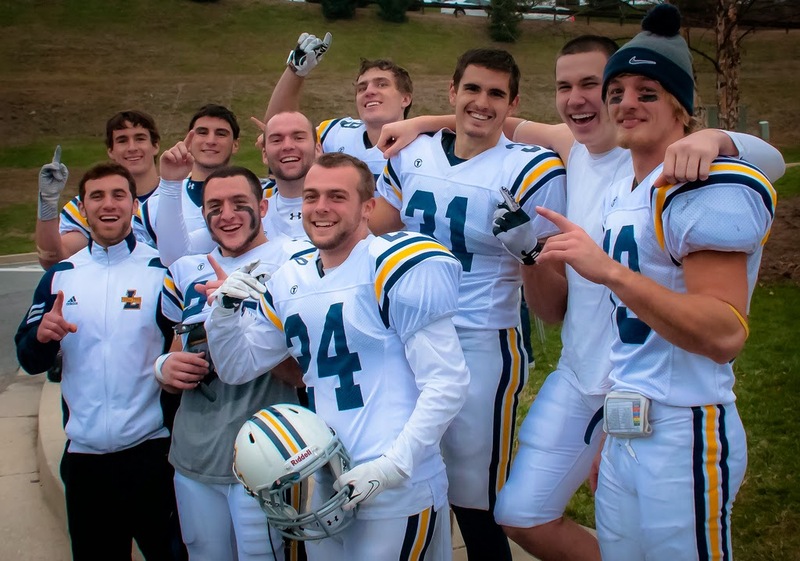 MAC Football News: Lycoming College Video - Sr DB Tanner Troutman "A Target On Our Backs"
Lycoming College Video - Sr DB Tanner Troutman "A Target On Our Backs"
Earned First Team All-Middle Atlantic Conference honors … Tied for the Division III lead with eight interceptions (0.8 per game) … Started all 10 games … Posted 58 tackles, 39 solo … Recorded six seven-tackle games … Earned two D3Football.com Team of the Week and Beyond Sport Network Team of the Week accolades, posting two interceptions in a win over nationally-ranked Delaware Valley and a school-record three against Stevenson … Also broke up six passes on the season, helping him tie for the league lead with 14 passes defended (interceptions plus breakups) … Had a half-tackle for a loss against King’s … A First Team Preseason All-American from both USA College Football and D3football.com. 2012: Third Team D3Football.com All-East Region … Second Team All-MAC as a safety … Played in all 10 games … Recorded 53 tackles, 30 solo, finishing third on the team and20th in the MAC … Had a career-high 10 tackles against Widener … Posted two tackles for a loss … Recorded five interceptions, two against Widener, as he finished tied for second in the MAC in the category … Posted six pass breakups. 2011: Appeared in seven games … Had an interception at Stevenson. High School: Two-time all-league defensive back … Three-time member of the All-Upper Dauphin Sentinel team … Holds school’s interception record (19) … Had more than 200 career tackles and 1,000 receiving yards. Personal: Son of Vicki and Rodney Troutman … Has one brother, Cody … A criminal justice major … Favorite athletes are John Lynch and Randy Moss … Favorite sports team is the Denver Broncos.